“Mom?” I was getting ready for a party when my 9 year old sauntered in slowly trying not to smile as if she had a secret. “I know you don’t want me to grow up so fast but…” she said as she tried to contain what seemed like embarrassment. All I could think of was, Oh no she started that you know what time of the month thing! I was busy doing the math in my head and trying to remain calm as she continued. 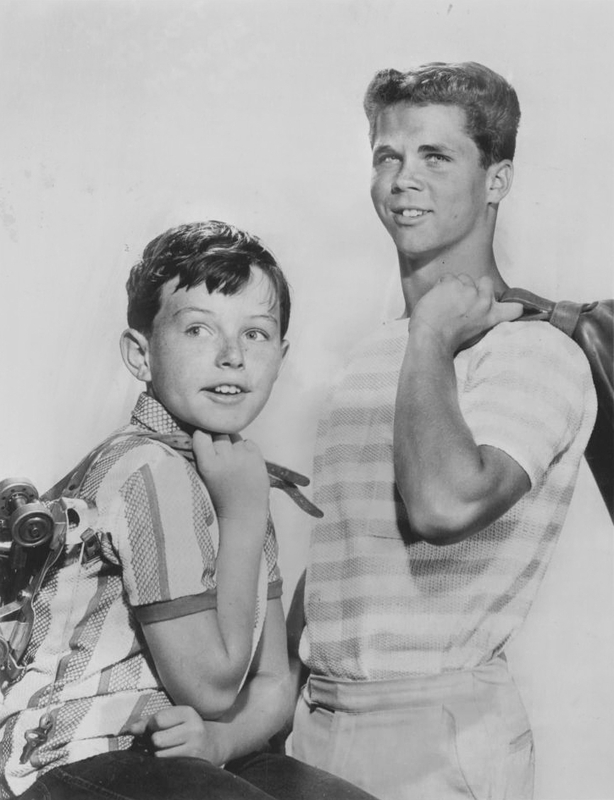 “I was watching Leave it to Beaver and…” phew music to my ears. She had gotten addicted to watching old Leave it to Beaver episodes about a month ago and my knees nearly buckled when I realized her growing up had more to do with a revelation than a physical change. Whew! You still have time to prepare “THE TALK”, only there’s never enough time, lol. Debunking the Tooth Fairy next! Whew! Now you can always explain we just don’t have the money for that this Christmas. Innocence still in tack. Old TV shows are a great place for kids to learn about the birds and the beavers… HA! Leave it to Beaver spilled the beans on Santa!! What were they thinking? My kids have always understood that Santa only comes if you believe in him. Even as adults they are veeery careful to not dis Santa. I don’t remember that episode, but I suspect it was Lumpy Rutherford and Eddie Haskell that did it. i still freak out when i see my boys’ hairy legs! and the ‘hair’ they leave on the floor in their bathroom – yikes – it is not right!!!!! Kids always surprising us with their discoveries!